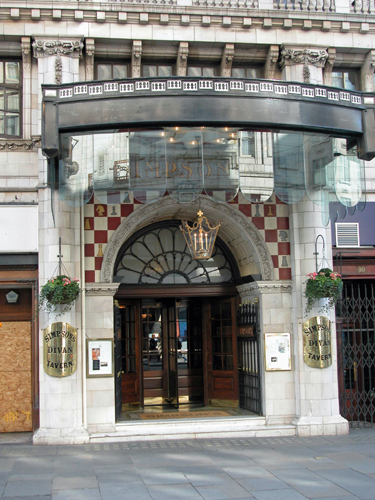 Simpson’s-in-the-Strand is one of London’s most historic landmark restaurants and has been offering classic British dishes to its patrons for over 170 years. It was originally opened in 1828 as a chess club and coffee house – The Grand Cigar Divan – and soon became known as the “home of chess”. One of the earliest Master Cooks insisted that everything in the restaurant be British and the Simpson’s of today remains a proud exponent of the best of British food. Famous guests include Vincent Van Gogh, Charles Dickens, Sherlock Holmes, George Bernard Shaw, Benjamin Disraeli and William Gladstone. I was asked by an interior designer to advise on appropriate paint colours for the redecoration of the Grand Divan.